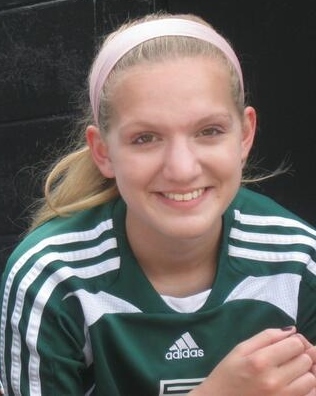 My soccer playing daughter whose name is not Brianna. I’ve decided to dedicate today’s FFFs to the high school soccer mom. If I was being uber specific, I’d say the junior varsity high school soccer mom. Just when you think you know a bunch about being a high school mom, mainly because your son has graduated high school, you realize there is still mucho info out there to familiarize yourself with. For instance, I’ve learned a lot this year about the world of high school girls’ soccer. At least as it is here in Central Kentucky. I’ve also learned a few things about our lovely state. It seems every team has a girl named Brianna or Brianne or some derivative of. My daughter’s team does. So does every team we play [it seems]. Building a high school stadium in which the bleachers face west is unwise. So is painting your bleachers black. On a hot, September afternoon this creates the feel of an oven. Why Ludlow, Kentucky’s high school decided upon this combo is beyond me. Every high school has its own ideal of the pregame song playlist to be played via the loud speakers. The farther you go into Eastern Kentucky, the songs become, well, what you’d expect in Eastern Kentucky. Our particular school doesn’t seem to mind playing the non-radio versions of the pregame hype songs. Think bad words, etc. I’d never heard the “Red Solo Cup” song [I know, I’m out of touch…] until a game this week. Odd song choice for girls’ soccer, in my opinion. There’s at least one rural school in Kentucky that allows smoking on school property. Fans are able to line their chairs near the sideline and smoke away, with nary a care as to how the second hand smoke is affecting the players. The concession stand menu varies a bit depending on the school. The walking taco is a hot item just about everywhere. 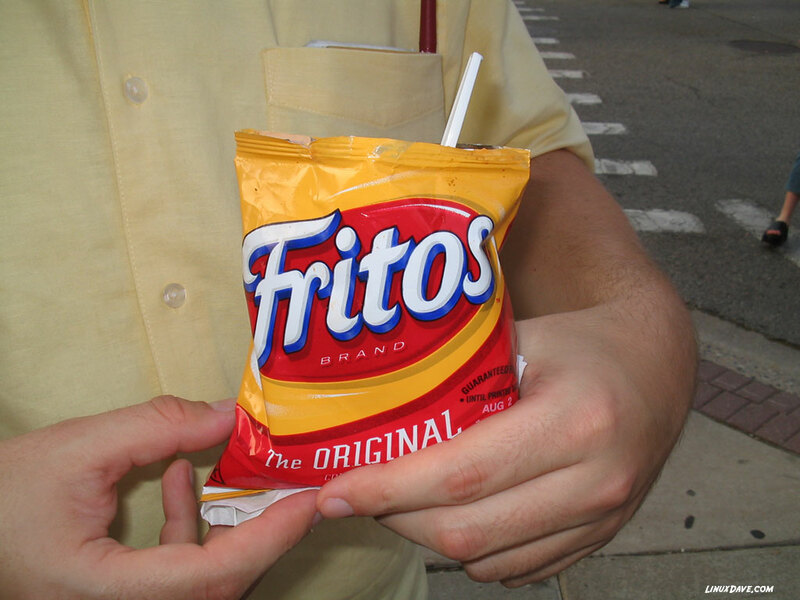 If you’re not familiar, it’s an individual bag of Fritos with a scoop or two of chili spooned in. My husband Chip and I volunteered at a home game this week. Running out of Fritos didn’t deter Chip in serving the girls what they wanted. He quickly put together a new entree – utilizing Lay’s plain chips in place of the Fritos. The girls were happy. The booster club made $2.50. All was well with the world and he might just apply for a patent. Parents love to yell “HANDBALL!”. Life is interesting. Life as a soccer mom makes it even more so. My beautiful baby girl…and a wife that can share both our sentiments. Nice picture. Red Solo cup is one of my wife’s fave songs by Toby Keith.